Why do people so frequently hurt themselves when they become active? 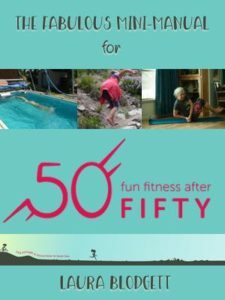 If you have been relatively inactive for a while or are getting involved in a new activity, slow and steady is something you should repeat adamantly to yourself. You need to build a base of strength before even thinking of intense effort. You need to work on everything from your cardiovascular system to the particular body parts that will dominate the activity. This can take a few months. Don’t feel guilty for making slow and easy increases in your efforts. You are doing everyone a favor. You are avoiding a severe set-back of some long term injury because your body rebels against a level of effort that it is totally unprepared for. When we see someone engaged in extreme activities, whether on TV or at the gym, we need to remember that more than likely it is NOT extreme to them. It might be extreme compared to what the average person does, but those people have almost certainly trained gradually. In order to do these activities as smoothly as they do, it has to have become fairly normal to them. When the extreme limits of our physical abilities are pushed too far, we stress our bodies in unproductive ways. Body parts that are not ready for the effort strain in unnatural ways to perform. Exhaustion of body and mind results in poor decisions and poor form. Over time you will probably get better at testing your limits. You will be more in tune with how certain things affect you and how your body feels. Give yourself a safe margin to develop this sense. Why do I have toes? What is the natural rotation of my shoulder? What do abdominal muscles do? Asking these sorts of questions should lead you to examine natural, comfortable motion. Assume the body works a certain way for a reason and don’t be quick to adjust it with the latest gear. Be skeptical of people who approach the body like it can’t do anything without a mechanical device they just happen to sell. A short study of anatomy and physiology can be very helpful, too. Just the basics that are well established. Learn which joints do what. Be amazed at things like how the muscles and ligaments make the elbow work. Notice the unique shapes of the bones there in the back. Just paying a little more attention to your body can give you intuitive insights into what it should or shouldn’t do. When you have a better understanding of why it is important to keep your knees aligned a certain way you will remember it more easily. When you know what reasonable hip joint rotation is, you will know better how to move. The best way to learn how much sleep you need is to let your body sleep until it is done. I’m not talking about just laying in bed, but letting yourself stay asleep without an alarm to wake you. If you are regularly sleep deprived, it could take a few days for your body to actually get caught up so that you find a normal length of time. You will probably begin to notice that how much sleep you need depends on how physically active you have been. This will help you when planning your schedule. On a night or two after a long run, you will want to give yourself more time to sleep. A tired body doesn’t heal as well. 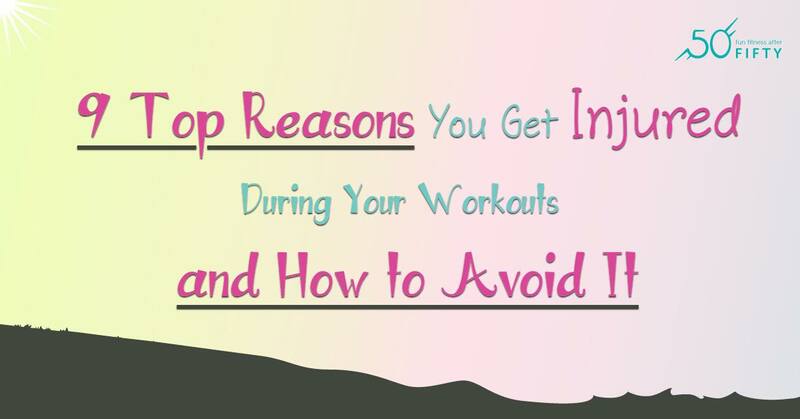 A tired body will make more mistakes when trying to engage in physical activity. Being tired on a regular basis makes you more prone to illness, which will also interfere with your progress and enjoyment of activity. Your body is very good at adapting to what is asked of it, but it needs time to do that. If you neglect recovery periods, your body won’t have time to adapt. Instead, it will be stressed and worn out, which will, of course, make you more prone to injury. However, some of these recovery periods can be used to strengthen your body in other ways, in ways that will be supportive of all your efforts. If you ride a bicycle a lot, some swimming on the side can help you relax and work out kinks. Some yoga might be good to work on core strength. Activities that build stamina often involve repetitive use. Make it a point to find isotonic or weight bearing exercises that strengthen the joints that are used the most. But don’t stop there. Your body’s core, basically what is between your neck and your pelvis, is like a foundation of a building. If it is strong it will support all kinds of movement of the appendages. If it is weak, you risk not only harming, but also damaging the rest of the structure. Core strength begins with good posture. Strengthening your abdominal muscles makes your back more stable. Working on your core often incidentally trims your middle, so between those two things, you will probably get people commenting on how good you look lately! Having a variety of activities is good in a few ways. It staves off boredom, which can make you sloppy. It helps you build your health in a well rounded way. It leaves you better prepared for unexpected fun. It gives you options when there are complications with the weather or your schedule. Physical activity is inherently good stress relief. However, expressing stress through your workout motions is likely to lead to no good. This is because doing so will often lead to exaggerated and careless movement. If you feel particularly pent up and think you might overdo it during a workout, try a different emotional outlet first to blow off steam. Singing or playing my flute help me with this. If you have any kind of journal, this would be a good time to write some things down. For some reason, writing tends to release the thoughts, whereas just thinking about them keeps them churning. It might be that toning down your workout is a good option, such as walking instead of running. This might also let you talk to a friend at the same time. Something like yoga with a group, where either the motions are naturally slow and even or the group setting helps you control yourself might be a good choice. Some tender care between workouts can help you recover and relax in important physical ways. Consider regular massage or trigger point pressure to muscles that have worked hard. Invest in some simple tools that help you reach trouble spots. A warm bath can help your muscles relax to get your self-massage off to a good start. Also, don’t forget that sometimes you need to be massaging connected areas. For instance, when I regularly massage the bottoms of my feet, I have much less trouble with tight lower legs. If you can work it into the budget, finding a good massage therapist can help avoid doctor’s bills. When you can see the same massage therapist regularly, he or she can get to know your needs. This makes better use of your massage time and gives continuity to the massage treatments. There will be times when you choose to get your heart pumping. It can feel refreshing and inspiring. It will be necessary sometimes to give yourself a bump to the next level. What you want to avoid is exercising to exhaustion, whether in a given workout or so that you are just generally worn out. If you want to enjoy the benefits of exercise and enjoy exercise itself more, plan for regular, moderate effort. Besides feeling better overall, you will be injured much less, too.